Allen Career Institute, Chandigarh, a pioneer in the field of medical as well as engineering entrances. However, there are certain coaching centres that put you on the right path during the course of your career. One such institute is Allen Career Institute, Chandigarh. Allen Career Institute, Chandigarh is a name to reckon with. With a lot of entrance institutes springing in every now and then, Chandigarh has maintained its repute and sanctity. Started in the year 1988, Allen Career Institute, Chandigarh has been devoted to student development. In this article, you would come to know about what this institute offers, content details, fee plans, scholarship details and how Allen is different from its competitors. Allen Career Institute, Chandigarh has a multitude of courses to offer to its aspirants. When it comes to student satisfaction and comfort, Allen is unmatched. Here is a look at the major courses that this place has to offer. Spot the course that suits your needs best. • IIT-JEE (Main+Advanced): Their meticulously planned courses and top notch service renders enough time for engineering aspirants for self-study. Their courses in engineering are well designed with respect to the technique as well as the syllabus. The course simultaneously covers the CBSE syllabus as well so that students can ace their board exams too. The faculty here is an amalgamation of rich academic experience as well as immense knowledge. The periodic tests are strictly based on the pattern of various engineering entrances and give more than enough experience to the students. A student can also avail scholarships if he fulfills certain criteria. One can know about the same from their website. • Nurture: it is a 2-year course for Class XI students. The fee is around Rs 3,00,000. • Leader: it is a 1-year course for those who have passed high school or have appeared for the same. The fee is approx. Rs. 1,54,000. Note: The amounts mentioned above are only for reference. Students are advised to visit the institute to know the exact details. 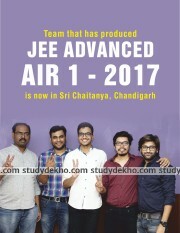 • JEE Main: Allen Career Institute, Chandigarh has a record of producing the max. number of students in the top engineering courses in the country. The focus is to ensure that the syllabus covers major concepts that are most likely to appear in the entrance exam. The practice problems are scientifically and structurally designed in order to provide a holistic view of the real exam. Revision classes are a regular feature. Sessions pertaining to doubts are regularly scheduled and extra classes may be taken, if required. Allen Career Institute, Chandigarh also offers several scholarships for the course. • Nurture: it is a 2-year course for Class XI students. • Leader: it is a 1-year course for those who have passed high school or have appeared for the same. The estimated fee has been rising high owing to the success of the brand name of Allen Career Institute, Chandigarh. • NEET-UG/AIIMS: Allen Career Institute, Chandigarh has distinguished itself as the best preparatory place for medical entrance exams. The methodical coaching provided here provides a competitive atmosphere to the aspirants who, through the excellent curriculum and adequate infrastructural facilities, ensure that the success rate is to the maximum. The highly experienced faculty is quite enduring and determined to focus on good results. The content material that is given to students is a great blend of research and theory which drives the overall studying process. 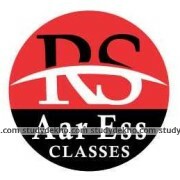 Allen Career Institute, Chandigarh provides topic wise subject modules which are subdivided into chapters and subtopics which consist conceptual, tricky and brainstorming questions that cover all possible aspects of one particular exam. • Nurture: it is a 2-year course for Class XI students. The fee is around Rs. 1,38,000 for the first year. • Leader: it is a 1-year course for those who have passed high school or have appeared for the same. The fee is approx. Rs. 1,44,000. • Achiever: it is a 1-year course for students who are repeaters or those who have already studied at Allen previously. • Pre Nurture & Career Foundation: This course is open for students from class 6th to 10th as well as those who are preparing for NTSE and other Olympiads. The course offers a nurturing environment to the students so that they tread on the right path since a tender age. For parents and students alike who feel that it is important to build an extremely strong foundation, this course could not get any better. This is done with a view to strengthening the foundation so that by the time a student reached high school, he is equipped with the necessary knowledge to face any sort of entrance exam. The course is supervised by a faculty team of experienced teachers who ensure that a student is not burdened with exam pressure but is at least given a bird’s eye view of what is about to come. The course content is fun to learn and is a great way to pass one’s school exams with flying colors. Such programs start as early as class VI. • Allen Career Institute, Chandigarh also offers online programmes. The course content of these courses is based on the latest pattern of the exams leaving no scope for the need of any external material. • Feedback system: Allen Career Institute, Chandigarh relies on a feedback system that is imperative to develop the real potential of a child. The system ensures that each child is well versed with the right knowledge to appear for the exams. • Comprehensive study material: their course content is specific to the exam and is divided into small modules that are easy to carry and study from. • Yoga sessions: regular yoga sessions during the preparations relieve students from the mental stress that one undergoes. What better could any coaching center get? Isn’t it? • Doubt clearance sessions: the faculty is devoted to steering the students clear of all possible doubts with respect to the course. I heard about Allen from my friends. they give us conceptual knowledge of every topic. teachers have always motivated us. they are providing proper test series and they have doubt counter so students can clear doubt easily. I heard about Allen from the internet. I motivated toward this institute from the previous year results. this is the best institute for iit/neet coaching. teachers are very helpful. I recommend everyone to come into Allen for coaching. Teachers are great I like the teaching approach .. they are providing proper study material including assignments ...environment is very studious. doubts are cleared in the doubt class. Brilliant coaching class for IIT-JEE & NEET Medical preparations. Mentors and other staff are very helpful and mostly the trainers are from IITs. Dedicated faculty. The best coaching for engineering and medical all over India. The faculty members are highly qualified either of IIT or NEET and if you work hard you'll definitely able to crack JEE main and advanced. Allen has produced some of the best IIT results in recent years because of some reasons. From management to the teaching staff everything is so perfect in the institute. I am so happy with it. Allen is extremely better than other coaching institute for preparing IIT-JEE exams . it provide the quality education.faculty is highly qualified and helping. there is proper doubt counter so if we have any doubt , we can directly go to the doubt counter to clear the doubt.infra is too good. well educated teachers and staff...best study environment and moreover competitive environment. Allen has helped me to clear my topics that no one could do for me. 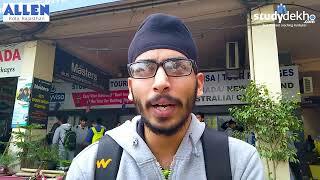 this is certainly the best institute in Chandigarh for IIT-JEE . 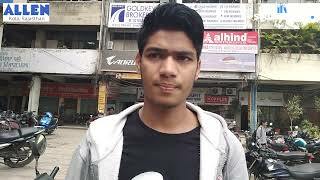 Brilliant institute for IIT-JEE in Chandigarh. environment of the institute is very studious. teachers are highly professional and very co-operative. they are conducting proper doubt classes. study material is very useful. i feel good to be part of this institute. Excellent institute with great infrastructure. hardworking and very cooperative faculty. studious environment. institute provide proper test series to increase the level of the students. study material is also very good.it was good to be part of this institute. Allen institute is the best place to study.They provide great faculty. They not only tell you how to crack exam,they improves your accuracy too.Faculty are available for doubts any time. study material they are providing is also very useful... they are conducting proper test series.. best environment. Best good institute, excellent service.study material is very good and level of the tests is the actual level of the tests. Physics teacher is not professional. Response for feedback is very poor. After taking admission parents are never heard. Best institute for meddical aspirants.If anyone want to make his/her career in meddical/non-medical field should join this institute. An excellent institute with great infrastructure and hardworking faculty who actually invest time and skills in their students. Allen is a great Institution but here no. of students are increasing each day so the no. of classes for students must be increased. 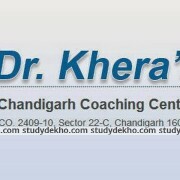 Its an excellent Coaching Centre for medical stream.Everything is just wow, including faculty,study material. you all should opt it only for your career ahead. paticularly no suggestion but some teachers aren't very good they just focus on toppers .So please you should change it and focus on others too please! really a very good coaching institute for NEET,AIMS as well as IIT-JEE aspirants. Teachers are really hardworking. They give time as per students requirement &make every possible efforts to help us. I want to give suggestion that the test series which held in last will have atleast one week GAP. So that we have enough time to prepare. best teachers and good institute for competitive exam. Best for the students who want to take preparation for the AIPMT enterence test. Hey!! I studied for 2 years (+1,+2) acc. And now i am dropping from lakshaya allen doesn't focus on invidual that's the worst thing !! They just concentrate over the top batches!! Allen ma bhot acchi padhai h Yaha par teachers b bhot acche h hame apne baccho ki tarah rakhte h I love my allen???? Maths class is very bad... Chem ok..
Its an excellent choice if you have science as your passion because the teachers in ALLEN provide a little exposure of the 11th and 12th course of maths and science. Its a pretty bad choice if you want to opt humanities as it would only burden you with the extra course. If you dont have any goal, then you must go for ALLEN! This is the best institute that we have have studied in .teachers here are like a family and motivate students every time. Allen is extremely better than any other.Once you come here you cannot suggest any other institute for the preparations of such exams.Teachers give their best.So come here work hard and achieve anything.